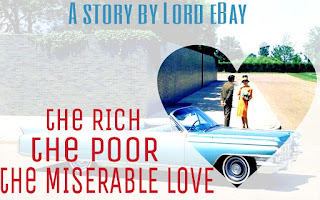 Lord eBay is an Aspiring Author with a taste for Romantic, Political and Paranormal Fictions. His goal is to join other writers in resurrecting Reading/Writing culture in Nigeria. 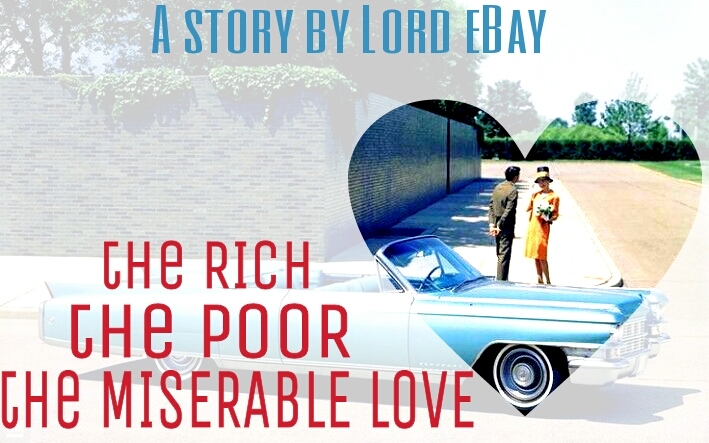 ENJOY Lord eBay's FANTASTIC LOVE STORY! Love knows no bounds between the rich, the bourgeoisie, and the poor. A rich man could ignore his fat-cheek limousine girlfriends and go on marrying a girl who lives in a hut. And a poor gentleman, if he saw a fair lady driving a Porsche, would never say, “damn it, I hate that cute girl”. Maybe truly, love is blind, maybe love is only ignorant, or perhaps, love is dramatic, there is surely a thing called love and it had happened to me; this is my story. I taught Geography in a school, Uncle Geography the students called me. And I would take them all around the school compound with measuring tapes, Gunther’s chain, ranging poles and all, surveying the school and sweating to deliver efficiently what I was not trained to teach. Private schools! What you studied in school doesn’t really matter to them, they give you the subject they have no teacher for, and if you cannot handle such subject, then they’ll tell you, “hope your number is on the résumé, okay, that’s good, we’ll call you,” when you sure as hell know they’ll never do. Our school was expensive, so, children of poor parents weren’t encouraged to come. The tone of competitions among students was high. On visiting days, the students dictated what model of cars their parents would come by. Expensive cars! And teachers too, most of them were proud, few of them, arrogant, none of them, gentlemanly. Their own competitions of best appearance were so unpleasantly tense that I almost ran away a week after I got there; normal guy from Ilu Oke, it was too much for me at first, but I learnt to cope, and I was comfortable because I was not competing with anyone and I was satisfied with what I had; that didn’t earn me much respect though. “Mr. Adebayo, are you kidding me? Classics speak the rich folks’ language, so they go after them. The man who owns that car must have other cars, but, this is possibly his most revered, unless there are other classics in his garage of course. Mr. Adebayo, it’s good to be rich, you can bring any dead thing practically back to life. Silver Ghost, Phaeton, De Luxe Sedan, Studebaker, Gullwing, all those classic cars, I would buy them if I had the money. Henry Ford’s earliest Qaudricycle, I would have one made for my kids to play with, inside the compound. Aaah, let me receive those parents.” He went away to receive some parents he knew. I still stood at that spot, eyeing the car, no more studying the car’s fish-like body but thinking about what Mr. Philips had said. Of course I was not a materialistic man, but I surely hated to be poor. If I could not afford to buy any other car, I wanted that Cadillac, I liked it. A female student I recognized to be in JSS3 suddenly surfaced and pulled the passenger’s door open. The silver-coloured two-seater Cadillac glimmered in the sun as the girl sat and fiddled with some control buttons in the car; an ash roof unfurled and covered the interior of the car. It was not long after that when a lady with a rather very smart body and sweet face joined her. The girl came out of nowhere and entered the car before I could assess her well. But I saw within those seconds I was allowed to ogle her, she was adorable. She couldn’t have been her mother, no. She would surely be a sister. And by now I knew that she brought the classic car. Rich folks! As much as I’d love to hate them, I can’t. That time passed, the meeting began and I found myself among other teachers. We sat at one side, parents another, and across the boundary between teachers and parents glowed a strong invisible ray of looks set on the face of the Cadillac girl from, of course, Mr. Adebayo, me. It took me a while before I located her though, and when I did, I got myself comfortably etched into the network of her radiant beauty; observing, wishing, imagining, dreaming, hoping, longing and lusting. Money enhances the beauty of men, but I’m sure if this girl had not come from the rich side of humanity’s social class, she would’ve equally been beautiful. Some beauties are refined by money, some were birthed naturally perfect. Whatever that was, whoever she was, that lady was cute, or… I think she was cuter. “Are you looking at Bennedicta’s sister?” That was Mr. Phillips again; he was right behind my head. “Who’s Bennedicta?” I was trying to sound like I was not sure he was talking to me. At that moment, I suddenly found Mr. Phillips a confidante; he suddenly was always present at every emotional junction I found myself that day. On the field while receiving parents, and there again he was; I never even noticed he was sitting behind me until he suddenly asked if I was looking at the girl. I knew I needed someone like him, someone who was almost as proud as the rich folks; someone who knew exactly the year the Cadillac outside first came on road. “I wasn’t looking at her,” I found myself uttered in my stupidest fashion of reluctance and indecisiveness. That was it. I hated it when someone ended a conversation I was interested in that way. Of course I liked the girl; I was only new at that kind of environment. As she sat there, looking up occasionally from the phone she had been busy with since she got here, she was hardly visible among the crowd, but she was the only person I was seeing, all others were just like dirt being blown about by the wind, and at the centre of the dirt was a tall tree with yellow oranges, or so I think I saw her that day. There were four rings on her; on her index and middle finger at the left hand, middle and small finger at the right, all golden; wrist chains, beads, bands, trinkets and all. Her make-up wasn’t that obvious but I knew she wore some. Three buttons were loose on her brown shirt, and I wish I could loosen more with my eyes. In-between the parted collars of her shirt however were the upper sides of the roots of her cleavage, fresh, full, inviting and corrupting, housed beneath the lucky black bra. I wish I was her bra! Ah! I was so stupid that day. I swear to God, at that particular time, I was ready to do anything to get the girl, but at the same time, I was sure I could not do anything. At first, nothing happened, then minutes later, nothing continued to happen, and I gave up. And so it began, the autobiographic love story filled with violence, politics, pretence, arguments, excitements, adventure, laughter, regrets and what religion always do to relationships, smashing.